Taylor Door Co. is the only name you need to know for garage door repair in Roseville and Fraser, Michigan. With more than 30 years of experience, the friendly and knowledgeable professionals at Taylor Door Co. can fix anything that is wrong with your garage door or garage door opener. We guarantee quality, affordable and satisfactory service when repairing your garage door in Roseville or Fraser, MI. Call Taylor Door Co. today at (586)755-6500 for a free estimate! Call before 11 a.m. for same day service! Fix Your Broken Garage Door with Taylor Door Co.
Taylor Door Co. is here to help you with garage door repairs and service in Roseville and Fraser. From hinges, springs and cables to rollers, gears and openers, we can fix it all. We guarantee you will receive the best service for the best price with Taylor Door Co. We get the job done right the first time, because we understand how inconvenient and frustrating a broken garage door or broken door opener can be. Taylor Door Co. is affordable, we promise you should never pay more than $300 for garage door repair in Roseville and Fraser! Call us today at (586)755-6500 to learn more. Taylor Door Co. is a member of the International Door Association, guaranteeing you quality service and expert garage door repair in Roseville and Fraser. You have nothing to worry about when you trust Taylor Door Co. with your garage door and door opener repair needs. 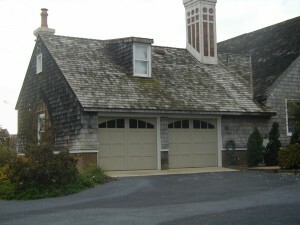 We are experienced, licensed and insured to come out and fix your garage door. We offer free estimates, and charge only $85 per hour for labor. You just cannot beat our pricing for garage door repair in Roseville and Fraser! Contact Taylor Door Co. today to learn more! Call (586) 755-6500 before 11 a.m. for same day service! Get Garage Door Repairs in Roseville and Fraser, MI Today! Taylor Door Co. offers only the best quality service for garage door and door opener repairs in Fraser and Roseville, Michigan. More affordable, and more experienced than the competition, Taylor Door Co. has the best deals around. Call today at (586)755-6500 for a free estimate! Taylor Door Co. is here to serve you for all of your garage door and door opener repair needs. Call now!